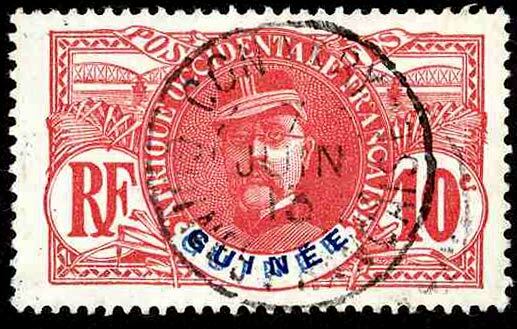 Guinée Francaise 1906/07, 10 C. with double print of the country name "GUINÉE". Very fine example, cancelled "CONAKRY 7 JUIN 13". 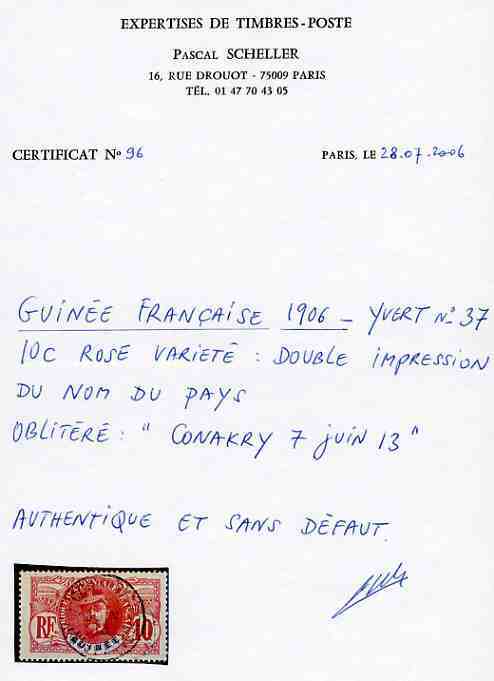 This variety is unrecorded in the actual Yvert, Céres or Dallay catalogues, only the Yvert Specialised of 1932 mentions it without a price! Certainly one of the rarest varieties of the french colonies, and possibly unique. Signed J.F. Brun.